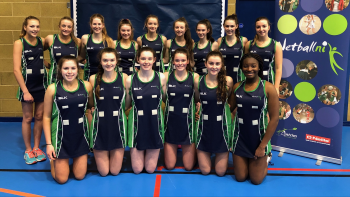 We had planned to have our thank you's published as our squad were heading off to Netball Europe but alas the weather took it's toil on this one! 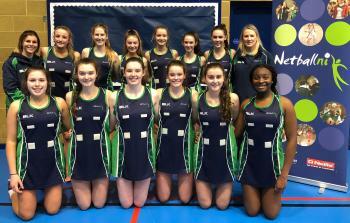 Nevertheless our appreciation for the work of our squad and the support from our sponsors is as big as ever,Netball NI would like to take this opp..
Netball NI are delighted to announce that former Northern Ireland Captain Hannah Willis has been appointed to the U21 Head Coach role. Hannah amassed over 60 senior caps playing for Northern Ireland and led NI to a 7th place finish at the Commonwealth Games in Glasgow 2014. We wish her every success.. The second rules workshop is on the 26th March 2018 at Londonderry Park/Newtonards from 19.30-21.30. The workshop will be led by Sonya Thomson.This short two workshop aims to provide attendees with the latest rules as updated by the INF. The workshop is for everyone participating in the ..
An opportunity not to be missed with two excellent coach developers in the world of netball and sport lined up for the 25th March! Do not miss out on our early bird price of 20% off the price by completing the booking form by the 9th March.If you are interested in attending the workshop please..
We are delighted to announce that Rushmere Shopping Centre are supporting our Senior Squad as they prepare to head to the Gold Coast 2018 Commonwealth Games in a few weeks time. 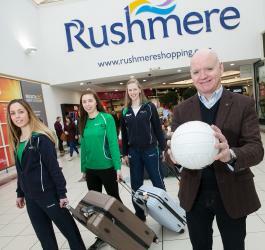 Martin Walsh, Centre Manager at Rushmere has been impressed by the work ethic and success of the squad and issued this pre..
Congratulations to the following 12 netballers who will be representing Northern Ireland at the U17 European Championships.Anna O'KeefeBelfast LadiesBlaithin DonnellyLumen Christi CollegeCaoimhe ShannonSacred Heart NewryCharlotte SlaterLagansideDearbhla ColemanKingswayElise McFarlandKingswayGeor..
Oh What A Night!! 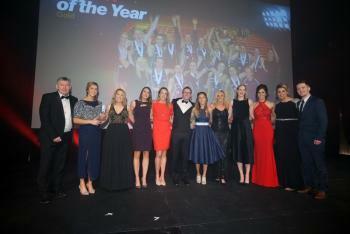 !What a night for the women of Netball in Northern Ireland and all our future stars to come.Last night at the Belfast Telegraph Sports Awards at The Waterfront Hall Belfast, Netball scooped a whopping 4 of the 17 awards of the night, eligible in the Gold category for amateur sports/.. Looking for something tasty to have for Brunch or maybe a quick pre or post training snack?Try these delicious recipes from our partners Irwins Bakery to keep those new year resolutions going strong!We will definitely be trying them!Enjoy Deep filled Bacon and egg Muffins.pdfNutty Krust Welsh R..
Netball NI are pleased to confirm that we are holding a UKCC Level 2 course at the start of the 2018-19 season. 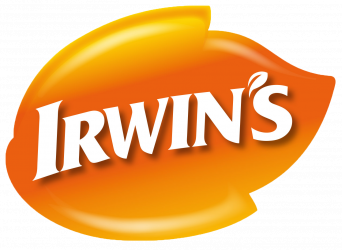 The venues are the Lisburn Leisureplex and the Lisburn Racquets Club on the following dates:12th-13th May 2018 - part one (12th May at Lisburn Leisureplex)16th-17th June 2018 - part ..